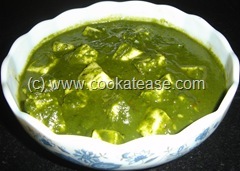 Palak paneer is a traditional dish served in north India. 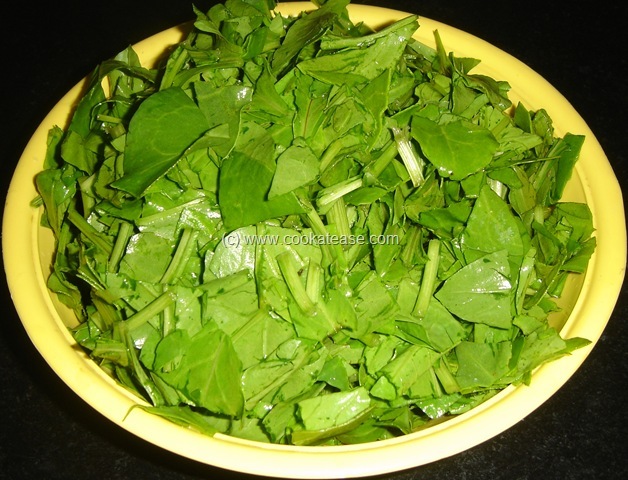 Nowadays this is popular in south India also. Taste of palak added with richness of paneer, in less spice and oil makes it delicious and is liked by all age groups.It is very simple and easy to prepare. 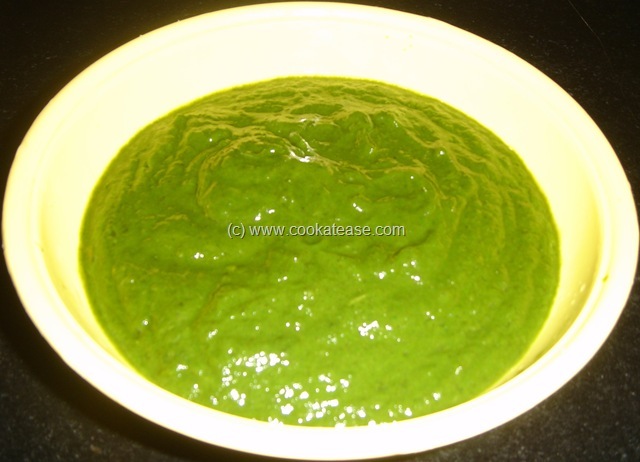 It looks great in green and white combination. 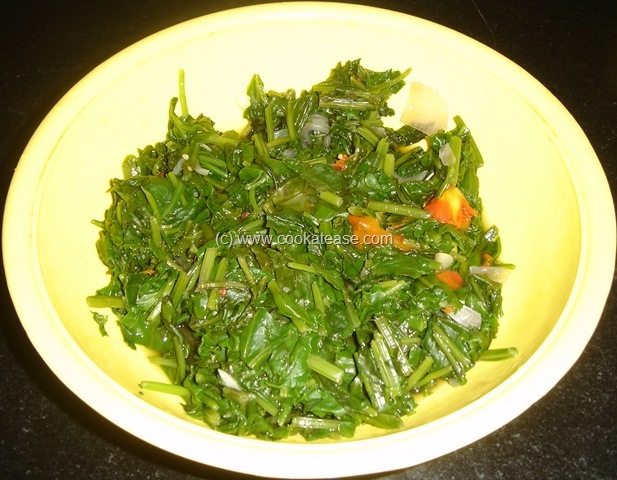 Clean, wash and cut palak; chop onion, tomato, green chilli and garlic; mix all, boil in any way as you like (I have done it in microwave oven); grind this with corn flour and salt in a blender with little water. 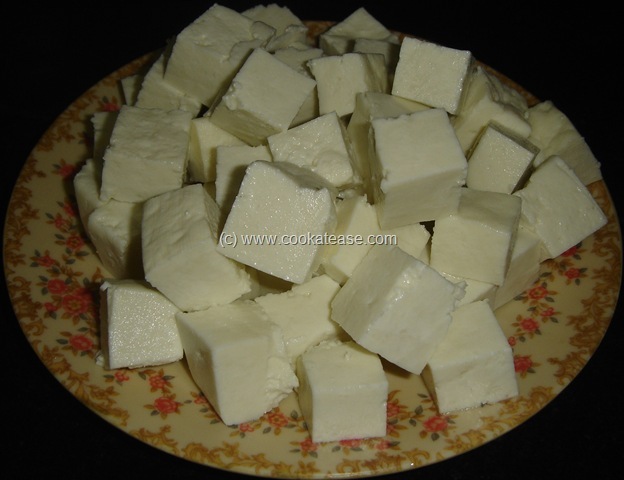 Cut paneer into pieces; heat a pan with oil/ghee then add cumin seed; let this splutter well; add ground paste, paneer; mix well and bring to boil; keep cooking for 3 to 4 minutes. 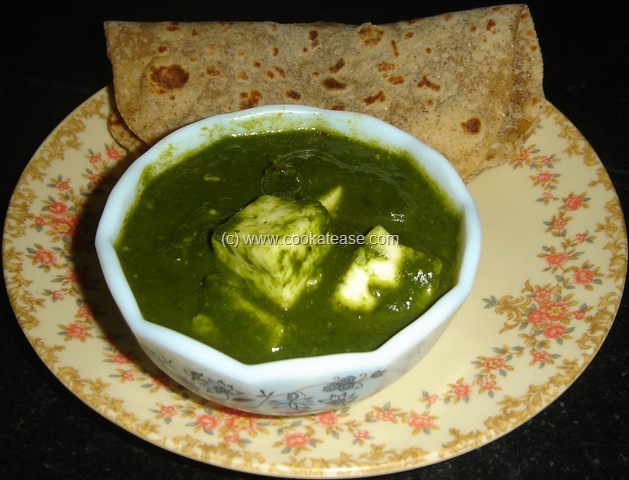 Paneer Palak is ready; Tastes good with very mild spice along with rich taste of paneer and palak; serve with hot chappatis. 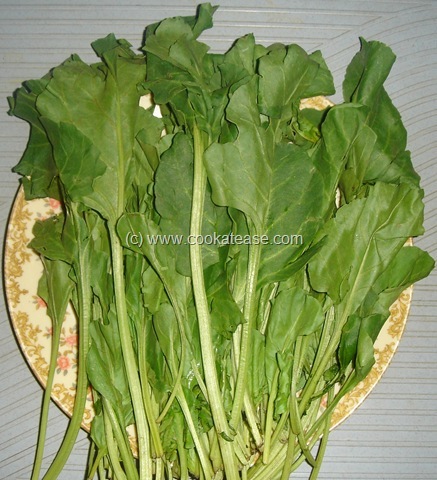 Palak cooks fast, so you can use tender stems also to prepare this dish. 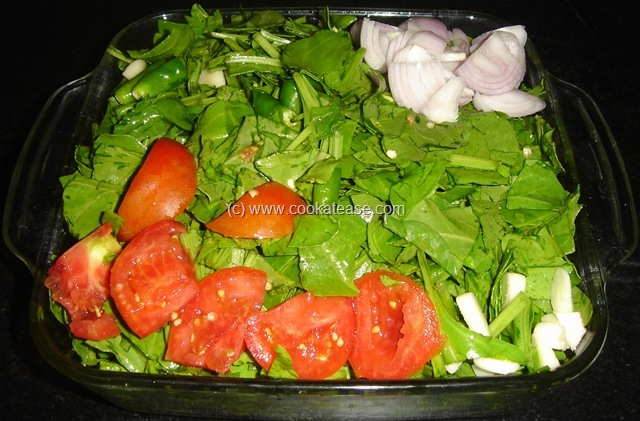 Wow looks so perfect and delicious… wish i could have some with my roti today. 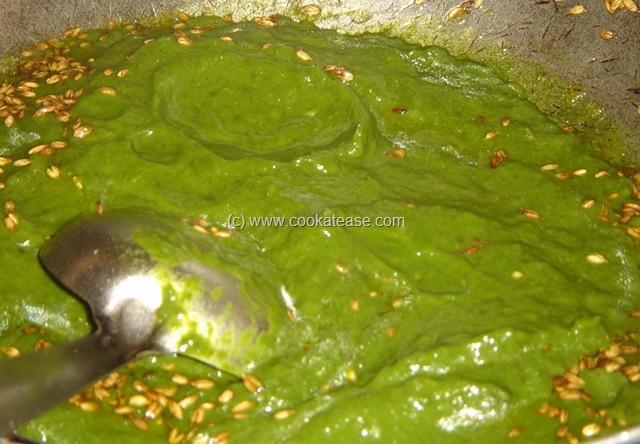 Wow… looks yum….. i’m so tempted to prepare this…. 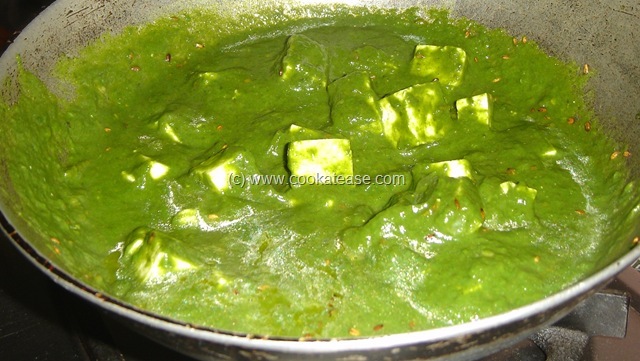 I just wanted to tell you I think your palak paneer picture has been “stolen” (if you haven’t given them permission to use it) and used here. http://www.facebook.com/FoodFetish. Perhaps you could take a look.